erneutes Update: 10 Märtyrer, darunter 5 Kinder und 43 Verletzte nach israelischem Anschlag auf Gaza. 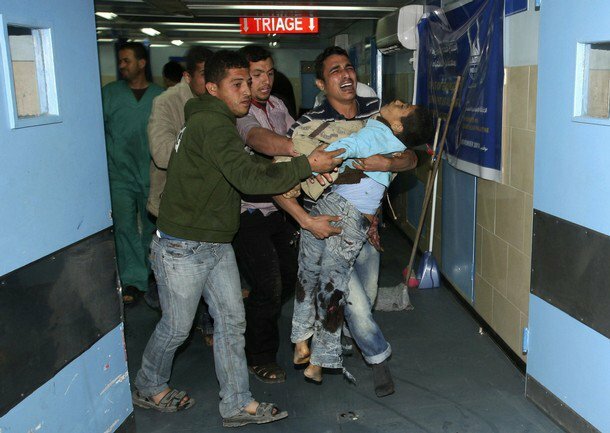 Gestern, am Dienstag, den 22.März 2011, gab es nach einem israelischen Angriff auf Gaza 8 Märtyrer, darunter 2 Kinder und ein älterer Mann. Auch gibt es mindestens 11 andere Verletzte. Dies ereignete sich gestern als die Israelischen Besatzungskräfte (IOF) ein Haus in Gaza zerbombten, in dem sich eine Familie mit Kindern befand, und hiernach einen Luftschlag auf eine Menschenmenge vor der Rantisi Moschee ausübten bei dem Menschen gestorben sind und andere verletzt wurden. OCCUPIED JERUSALEM, (PIC)– Fierce clashes broke out once again on Friday afternoon between Palestinian young men and the Israeli occupation forces (IOF) in Silwan district of occupied Jerusalem as Jewish settlers continued their savage attacks on Palestinians and their property in different West Bank areas. The Hebrew radio said that one Israeli soldier from the border guards was slightly injured when a Molotov cocktail was thrown at him during the clashes. Meanwhile, armed Jewish settlers attacked on the same day different West Bank cities under military protection. 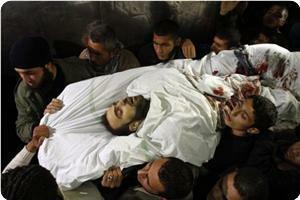 They stormed Yasuf town, near Salfit city, and attacked homes and Palestinians. Israeli troops helped the settlers during their attacks and fired tear gas grenades at the residents who tried to defend themselves. A group of settlers intercepted a Palestinian car at Za’tara crossroads, east of Salfit city, and showered it with stones causing considerable damage to it. In Tubas city, Jewish settlers from Maskiot settlement seized under military protection vast tracts of Palestinian lands in Wadi Al-Maleh, north of Jordan valley, and planted them with some olive trees. The Israeli troops that escorted the settlers expelled the Palestinian owners from their lands, although they demonstrated official documents proving their ownership.